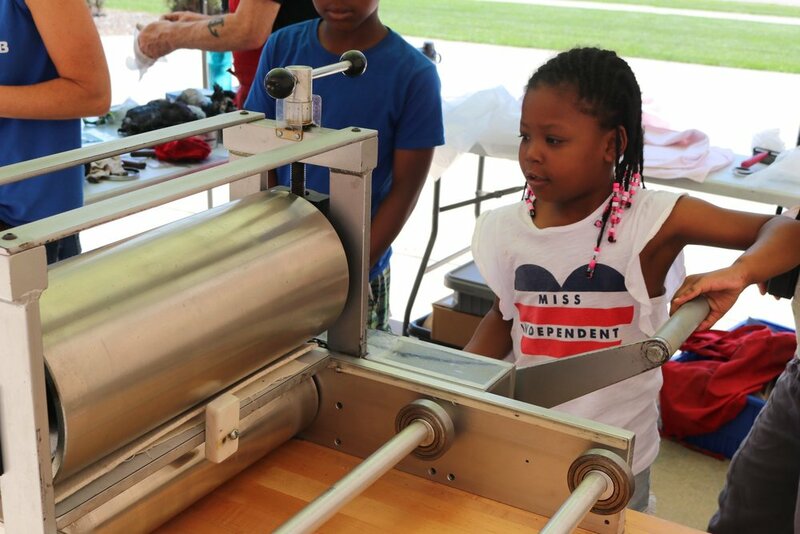 CCR travels throughout the region with our portable printshop, Press on Wheels (POW). 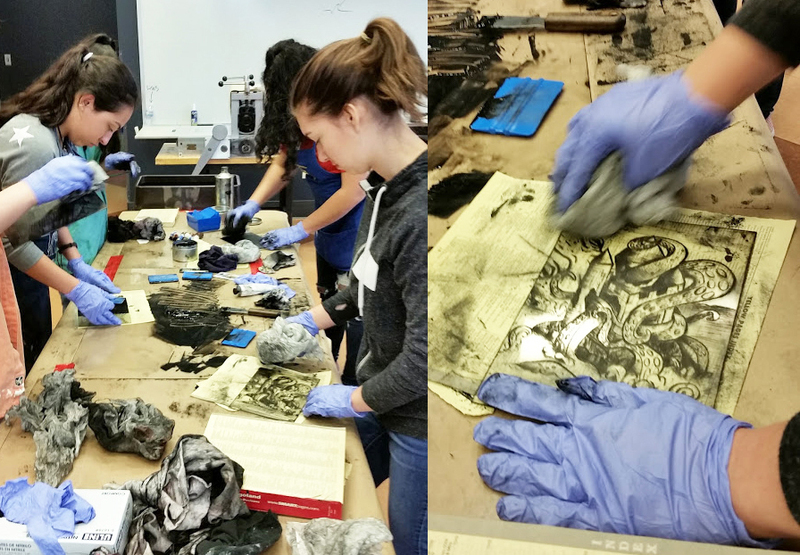 We bring our etching press and papermaking facilities into schools, libraries, art centers, beach events (! ), and more. We collaborate with other institutions, teaching, giving demonstrations, and presenting workshops. 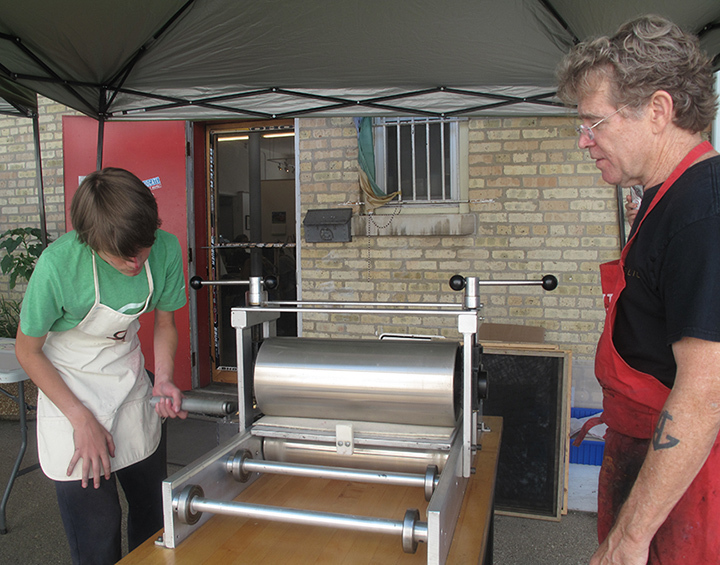 Upcoming: Sept 29 and 30, Makers Faire Milwaukee, paper and print. Oct. 6, Albany Park Arts Festival Art Parade, papermaking and print, Chicago; Oct. 20, Papermaking Explorations, for all levels and all ages, taught by Marilyn Propp at the Kenosha Public Museum, in conjunction with our two-person show: Into the Deep: Fragments and Reflections; Nov 3 and Nov. 17, Combat Paper Pulp and Steamroller Printmaking event, Madison, WI. Below: Marilyn making paper at Get Behind the Arts preview Party; Inking at the Lake Villa Library POW: Inking, printing and showing her print at the Boys and Girls Club, Kenosha: Drawing on plates and printing at the Lemon Street Studios Teen summer monoprint class, printing both outside and inside the truck. 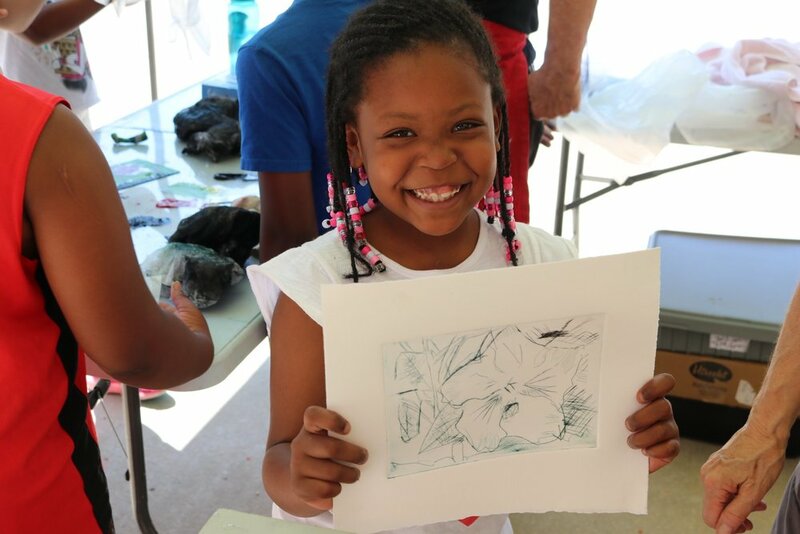 Drypoint workshop at the Kenosha Public Museum, taught by David Jones.